California and the Pacific Northwest may be the undisputed capital of electric cars in the U.S., but in Europe, that accolade is currently held by Norway. Last week, Nissan Europe announced it had sold 1,000 of its Leaf electric cars in just six months in the nation. In February, Leaf sales accounted for nearly 2 percent of Norway’s new car sales. But why are electric cars so popular in Norway, a country of just 5 million people? Moreover, can we learn anything from Norway about encouraging people to make the switch to electric cars? If you think California is generous to owners of plug-in cars then think again. While Norway doesn’t offer a tax rebate on the purchase of an electric car, it does exempt them from sales tax. We're not just talking a few percent either: purchase taxes on new cars are governed by how large the car is, and its engine capacity. In some cases, purchase taxes can double the cost of buying a new car, meaning that an all-electric car could save from $5,000 to $40,000 in purchase taxes. By anyone's math, that's a substantial incentive that allows for plug-ins to make financial sense in this often-cold nation. Exemption from sales tax isn't the only taxation benefit either: In addition, there are no annual road-tax fees, license fees or even public parking fees for electric cars. 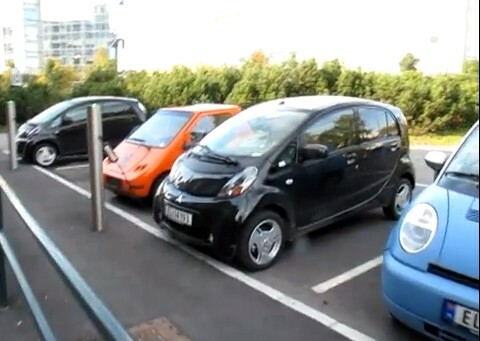 You only have to watch the above video of electric cars charging in an Oslo car park to see how nice life is for the electric car driver in Norway. Instead of one or two charging stations, there’s enough to charge more than 40 cars in a single parking lot. The benefits continue onto the road too, with electric cars in Norway exempt from all toll-road charges. Better still, electric cars, no matter how big or small, can drive in bus-lanes, allowing electric car drivers to skip the worst of rush-hour congestion. But drivers of plug-in hybrid aren’t eligible for any benefits, meaning cars like the 2012 Nissan Leaf are far more enticing to the Norwegian buyer than the range-extended Volt. At 28.5 people per square mile, Norway has the lowest population density of any European nation. However, almost half of Norwegians live in the southeast of the country, near or in Oslo, its capital city. The result? Average commute times of 30 minutes of less, perfect for electric cars. For most Americans, the concept of owning an electric car is relatively new, especially if they live outside of the aforementioned areas. In Norway, a wide-array of electric cars and quadricycles -- low speed city cars -- have been traveling the country’s roads for years. Ranging from the quirky Norwegian-made Kewett Buddy and German City El to the late Think City, these small-volume electric cars, along with limited-numbers of electric cars from mainstream automakers like Renault, Peugeot and Citroen, are common sights in Norway’s larger cities. In fact, with a total population some 3 million people less than New York city, there are more electric cars per capita in Norway’s cities than any other city in the world. With so many electric cars already on the roads of Norway, it’s likely that many drivers are ready to trade in their low-speed city cars for something a little faster. 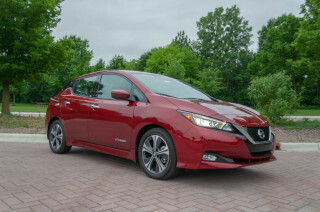 Cars like the 2012 Mitsubishi i and 2012 Nissan Leaf are obvious upgrades for any driver of a lower-speed, older electric car, accounting in part for Leaf sales figures. Because of Norway’s perks for electric car drivers, it isn’t just car drivers concerned about the environment that are driving electric cars. Instead, many electric car buyers are influenced by the financial benefits, which easily outweigh the more expensive sticker price. Norway’s attitude to electric cars is focused almost exclusively on incentives, proving that most consumers favor their wallet above any misconceptions they may have about electric cars. Backed up by a healthy charging network, Norway has helped reduce range anxiety at the same time, making electric car charging ubiquitous in every major parking lot. 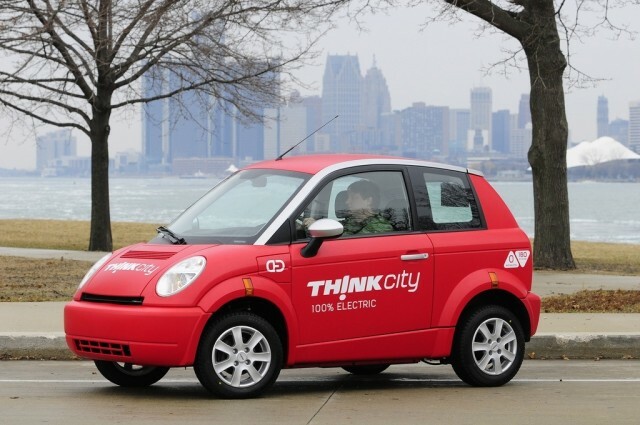 Cities, counties and states take note: encouraging electric car adoption isn’t difficult.